I’m interested in the story about Roger Mac’s parents. I’ve seen it online being sold at Chapter’s (Canadian book retailer) however it is part of an anthology as well. Is there a possibility that book might be sold individually? Well…that’s what I was just telling you. Yes, “A Leaf on the Wind of All Hallows” _will_ be sold as an individual ebook, probably sometime in October. Ok, bien, merci. I’m out of luck then as I don’t have an ipad, ereader, or anything that high tech! Thanks for the update, and all the best to you. I appreciate your feedback. Not sure about there in Canada, but here in the US you can download a Kindle app for your computer to read e-books that way. I have the app on my smart phone as well as on my laptop. I also have the nook reader on my phone, but there are tons of free kindle books out all of the time (classics from the Gutenburg project) and others that are on special so that people will start reading different series. Good luck. You can go to the Chapters website and download the Kobo for Mac or PC. Then you can buy and read the anthology right on your computer. Have a look at th UK Book Depository they ship books all over the world with no shipping costs. I’ve pre ordered my copy of Trail of Fire will be shipped to NZ at no charge. Always received books hen ordering from them and have had no issues they are great. I too use The Book Depository, probably too much. I have always received my books within good time and free delivery to Australia… to everywhere! And again have preordered my copy of A Trail of Fire!! Yay!!! There are free applications for kindle that you can put on your computer and read the stories that way. Also, they are available for smart phones if you have one of those. You can download amazon kindle’s free reader app to your phone on the YS. Check for Canada! Did you know you can down load an ereader onto you computer. Before I bought my nook I down loaded Nook for PC, Kindle for PC and ereader. Good luck and enjoy the ebooks. Thanks for keeping us posted–sounds like we’ll be spoiled for choice when it comes to getting your short stories! Thank you so much for this! 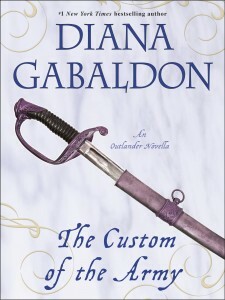 I’ve been going crazy seeing the logo for A Trail of Fire but getting nowhere on Amazon or BN.com for my Nook. I downloaded The Custom of the Army and enjoyed it. Will make myself a note of the dates for the others expected to become available as ebooks and stop pulling my hair. That does clarify things, thanks! And yay, I’m so glad these are coming out again since I’m not sure if I’ve ever seen some of those anthologies. Do I surmise correctly that A TRAIL OF FIRE will be available, in book form, to US readers sometime soon after Jan. 2014? or is that too far off to know for sure? Ordering TRAIL OF FIRE from amazonUK is a snap. (I’m in the U.S.) They had my account on file and credit card information. Am looking forward to October and getting SPACE BETWEEN as I already have the anthologies for the other three stories. I got my copy of TRAIL IF FIRE at amazon uk as well. I absolutely love it! I never read these short stories before, and am glad of the chance to do so. But still can’t wait for the next installment of Jamie and Claire’s adventures! I know 2013 hasn’t even started yet, but I can’t wait for fall, LOL. I’m looking forward to reading more, thanks for the info! Thank you for the info, I was hoping these short stories would be published in one volume! Do you know whether A Trail of Fire will also be translated to Dutch? Can you please add, as it becomes known, when the availability of these stories will occur in an audio format? I fear those questions about publishing rights (and dates) are driving you crazy, but still: Any idea when ” A Breath of Snow and Ashes” will be released as an audiobook in Germany (unabridged)? Thank you for throwing a life line to us rabid hounds of good literature! I can’t wait until one volume is available in the US, however, I will try just one now. As with chocolate, I suppose it will be one impulse I won’t be upset if I cave. I will still have the print book when it comes out! Your Facebook status updates seriously make my day. I live in the US and have the 3 anthologies but wanted to get A Trail of Fire as soon as possible! 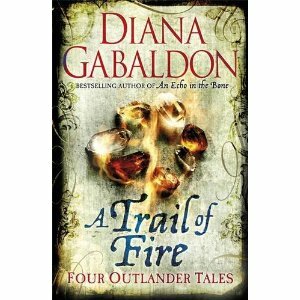 If anyone else is like me, you may want to know this: I just pre-ordered A Trail of Fire from amazon.co.uk. It was easy to do, and the total cost was 17.42 pounds which converts to $27.74. Shipping should take 6-10 days after the Oct release. Diana, are you far enough along in MOBY yet to know if it will be the last book? I hope not! Some of us do hope MOBY is the final one that clarifies the appearance of Jamie’s ghost in Outlander. Jamie & Claire could still appear in your “offshoot” stories, but those of us who are aging fear we won’t be around for closure on the main series. Awesome, I’ve just pre-ordered, ‘A Trail of Fire’ from the Book Depository in the UK (free delivery to NZ also). 61 days until released, so very excited. Once again, thanks Diana for all these great reads. Thank you so much for putting the four stories in one novella. I will definitely be purchasing A Trial of Fire when comes print here the U.S. Thank you Diana. I had looked into it, but couldn’t find it here in Canada. I do almost all my reading on the iPad now, so I’ll be purchasing the novellas. Thank you for the updates do you have a favorite bookstore in London? I ask because I have several flight attendant friends who do the Chicago to London or Chicago to Frankfurt route more than a few times a month, and as I’m still a hardbound in my hand (sounds like a short story title to me now that I see it in writing) girl, I’d like to ask them to pick up a copy for me. And as an aside pertinent to nothing but an early morning with too little coffee, your old stories coming back to you doesn’t sound sinister to me, it sounds like an intriguing story line and I can already see the cover art. It also reminds me of the saying that while your children may leave in ones they come back in twos and threes. ……your books and chocolates makes life bearable…! !